Recent products from AMD offer much stiffer competition to Intel than in the recent past, which has helped the former outperform the latter. Intel has struggled in recent years with process technology and the recent release of a 10nm FPGA could be a sign that all its problems have not all been resolved. AMD has a realistic chance of soon gaining the performance crown and repeating what it did twenty years ago. It’s no secret that Advanced Micro Devices (AMD) has outperformed Intel (INTC) in recent years. A big driver of AMD has been the release of microprocessors that are much more competitive with Intel products than the previous generation. While the Bulldozer architecture and later derivatives are no match for Intel, the same can’t be said of the Zen architecture. Another issue dogging Intel has been process technology, the manufacturing process and design rules used to make integrated circuits. The process node can give you a rough but not exact indication of how small the circuits are at say 14nm. For a long time, Intel could always count on having the edge in process technology over competitors such as AMD. But this traditional advantage of Intel over AMD has now been lost. In fact, Intel might soon be trailing AMD in process technology due to Intel struggling to make the move to 10nm from the current 14nm. However, it’s important to mention that Intel’s measurements of transistor and metal pitches at 10nm are different from foundries such as TSMC (NYSE:TSM). They are actually closer to the definition used by the International Technology Roadmap for Semiconductors (“ITRS”). While Intel has 14nm process technology available, it has struggled to advance in recent years. The succeeding 10nm process technology was supposed to have been ready years ago, but has yet to be used extensively even after many delays. Intel was originally supposed to release 10nm Cannon Lake microprocessors three years ago, but that never happened. Intel’s inability to move 10nm into volume production is blamed on poor yield rate, which is the percentage of functional chips in each wafer produced. Without a sufficient number of chips per wafer passing all tests, it's not economical to launch volume production. Intel’s challenge therefore is to make sure that its yield rate is up to snuff. At CES2019, Intel suggested that 10nm Ice Lake processors could be available in late 2019 before the holidays. While Intel has in the past made available samples of 10nm processors in very limited quantities, a 10nm Ice Lake would be the first microprocessor to enter volume production assuming Intel does not experience new delays as it has in the past. To make matters more interesting, Intel recently introduced the Agilex field-programmable grid array (“FPGA”) on April 2 2019. 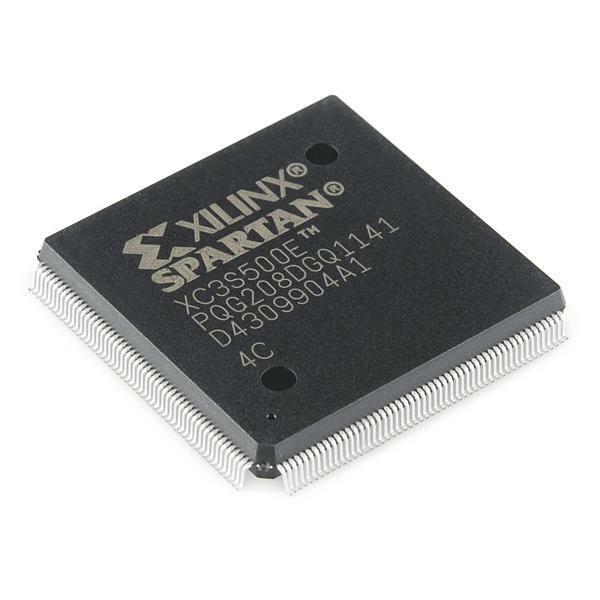 The Agilex will succeed the Stratix family of FPGAs in the coming months. An interesting feature of the Agilex FPGA is that it’s manufactured using 10nm process technology. This has led some people to assume that Intel has finally solved all its yield problems and is now ready to move ahead with 10nm. However, an argument can be made that the opposite is also possible. The fact that its latest FPGA is using 10nm could be an indication that Intel has yet to resolve all its issues with process technology. There are a couple of reasons why this is so. The first thing to mention is that FPGAs are by nature more resilient to yield issues caused by manufacturing defects. Instead of writing software instructions for a microprocessor, which is what most people do, you can design a circuit that will execute the desired instructions. This is where FPGAs come in due to their ability to become the integrated circuit you want. Unlike microprocessors where logic is fixed, FPGAs can be reprogrammed after they have been manufactured to fit a desired functionality. To make this possible, FPGAs contain a large array of programmable logic blocks laid out in grid form. Hence the term “grid array” in FPGA. FPGAs can work in parallel so that different processing operations do not come into conflict for the same resource. Processing tasks to be performed are assigned their own section in the FPGA, which contains its own set of programmable logic blocks. Logic blocks outside of the section cannot influence its operations. What this means is that FPGAs have a certain level of redundancy build in. Depending on where the defects occur, redundancy enables FPGAs to be more resilient to manufacturing defects that would normally cripple a microprocessor. The loss of some logic cells due to a manufacturing defect can be worked around by reconfiguration. FPGAs can still be used as long as there is enough room or gates left. Basically, FPGAs may still be functional even after manufacturing defects in situations where microprocessors would not be. So if you have problems with poor yield due to manufacturing defects, then FPGAs could still be put into production even if the same cannot be done for general purpose microprocessors. The second thing to be aware of is that although there are cheap FPGAs available, high-end FPGAs can cost up to several tens of thousands of dollars depending on the features offered. Since FPGAs can be so expensive, it is still acceptable if only a relatively low number of chips per wafer are good to use. A yield rate that would make it uneconomical to put a microprocessor into volume production could still be suitable for the manufacturing of FPGAs. Remember that the number of good chips that a wafer yields must be able to cover the expense of manufacturing that wafer. If FPGAs sell for so much more, you don’t need that many FPGAs to cover the costs as would be the case with microprocessors that are cheaper. Intel has been growing its revenue in recent years, thanks primarily to its data-centric business. Revenue in 2018 was $70.8B, an increase of $8.0B or 13% from 2017. The table below shows the progression of revenue at Intel. Notice that the data-centric business is stronger than the PC-centric business. FPGAs fall under the Programmable Solutions Group (“PSG”), which achieved $2.1B in revenue last year. By comparison, Intel recorded revenue of $70.8B for all of 2018. The PSG segment therefore contributed about 3% to revenue. Operating income at PSG amounted to just $0.5B. If operating income for all segments was $23.3B, then PSG contributed just 2.1%. The table below lists the relevant numbers for the PSG segment. Furthermore, operating income at the segment has stayed virtually the same at $0.5B. Revenue at PSG only increased by $0.2B in 2018, underperforming other segments where growth was much stronger. The table below lists the contribution each segment made to growth at Intel in 2018 compared to 2017. Note that the Client Computing Group (“CCG”) and Data Center Group (“DCG”) are the two segments that contributed the most to growth. The two contributed $3B and $3.9B respectively. If revenue increased by $8B, then these two accounted for $6.9B or 86.3%. Why would Intel prioritize FPGAs at 10nm when other products contribute more? Clearly, FPGAs are not that important to Intel as the numbers above reveal. Yet FPGAs are among the first products to use the latest process technology that Intel has available. An argument could be made that it would be better to reserve resources and the latest technology for products that bring in the most. Especially since fab capacity at the latest process node will be limited and making maximum use of what’s available is the wise thing to do. That includes allocating as much manufacturing capacity as possible to products that contribute the most to the bottom line. CPUs manufactured at 14nm are already in short supply and diverting resources away to 10nm FPGAs doesn’t seem to make sense. One possible explanation is that Intel has yet to completely master 10nm process technology. It could be good enough for the production of FPGAs, but it may not be ready yet for volume production of microprocessors. It’s not possible to say for sure because only Intel knows for certain. Intel has suggested that 10nm processors will be available in late 2019. It’s possible that Intel will deliver this time and 10nm processors will be available in volume. The problem is that Intel has made similar promises in the past few years and not delivered. No one outside of Intel really knows the exact status of its process technology. Its yield rate may have improved, but whether it's good enough for volume production of CPUs is an open question. Intel has been vague about the exact reasons for poor yield at 10nm, which raises doubts. The possibility remains that Intel might not be ready and the 10nm FPGA could be a reflection of that. If Intel is not ready to move to 10nm CPUs and further delays are in the pipeline, then there will be implications for Intel in its competition with its rival AMD. What are the implications of Intel falling behind AMD in process technology? The smaller the transistors, the better the performance assuming all else is equal. So if AMD has an advantage in process technology and combined with expected improvements from Zen 2, then AMD might soon have products that offer superior performance to those from Intel. The last time Intel clearly fell behind in processor performance was when AMD launched the Athlon series, the Thunderbird in particular, two decades ago against the Pentium III. AMD’s lead helped propel the stock to a high of about $44 not long after, a level it hasn’t visited since. Intel eventually replaced the Pentium III with the Pentium 4, but the latter failed to put Intel back on top due to a number of issues, including excessive power consumption and heat dissipation caused by the Netburst microarchitecture. It wasn’t until the introduction of the Core 2 series in 2006 that Intel could legitimately claim that its processors were once again clearly better than those from AMD. A position Intel has more or less maintained to this day with each new generation of the Core series. In contrast, AMD’s processors based on the Bulldozer, Piledriver, Steamroller and Excavator microarchitecture are no match for Intel. But AMD now has an opportunity to repeat what it did twenty years ago with the imminent launch of the Zen 2 in 2019. Processors based on Zen 2 and manufactured using 7nm process technology from TSMC have a realistic chance of opening a performance gap with Intel, something AMD has not enjoyed in many years. This potential lead could become even greater if AMD upgrades to the 5nm process node that TSMC will make available to foundry customers in 2020. Is history about to repeat itself after exactly twenty years? Intel products tend to be more expensive than those from AMD with the justification that they offer superior performance. But if customers get inferior performance despite paying a premium, then Intel will have a problem with customers defecting to AMD. AMD could have a great opportunity in the next one or two years to significantly increase its market share at Intel’s expense. Production problems could be the catalyst that propels AMD ahead of Intel. It's therefore crucial that Intel fixes its production problems to prevent it from falling behind AMD. If it doesn't, then Intel should expect to see its market share, revenue and profits shrink similar to what happened the last time Intel allowed AMD to gain the performance crown.